I wanted to thank MSPL for their excellent service in replacing our boiler so promptly last week, after it broke down forever. They also installed the NEST system for us. From start to finish, everyone I dealt with was friendly, helpful and efficient, and I would like to pass on our thanks. We’re happily reunited with hot water and a warm home. Our boiler broke down just before Christmas and left us with no hot water or heating with relatives due to visit. We needn’t have worried though as MPSL came up trumps with swift, professional and cost effective solutions. The whole team, from Steve the manager to Gavin the fitter and assistant Ben were first class. Friendly and exceptionally tidy we couldn’t have asked for a better service. Roof leaking into bedroom. Removed moss build up, causing leak during heavy rainstorm. Dealt with promptly and in an efficient manner. Excellent. The roofing manager inspired me with confidence from our initial meeting. This work was carried out in a very professional and tidy manner, to my satisfaction. I was very pleased with the way the engineers worked. All rubbish was taken away and they were very efficient. Would definitely recommend. We required a new 33kw platinum boiler which was installed by MPSL Emergency Services last week. The two fitters arrived promptly and were very polite, knowledgeable and helpful. They did an excellent job of fitting the new boiler and a new external flue pipe. They worked efficiently, checked all aspects of the central heating before leaving at ensured that everything was left clean and tidy. I was very worried when my old boiler packed up, but this company (MPSL) came to my rescue and did a good job also at a reasonable price. MPSL were brilliant, boiler broken with no heating or hot water, not only did Steve offer a lot of advice, the team booked us in quickly for a replacement. Job was done well and quickly by the team. Could not recommend them enough. The engineers diagnosis, investigation and repair of the service of water leakage on the main roof of the house was done in a very methodical and professional manner. Would recommend. 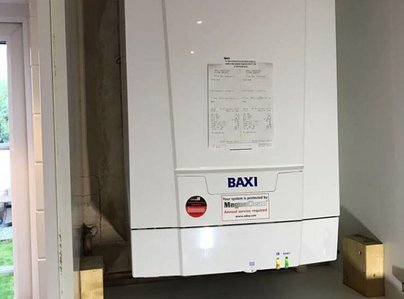 We had a new boiler fitted by MPSL Very professional respectful tradesmen we are very happy with the finished job and have already recommended the company to a friend. I decided to ask MPSL Emergency Services to service my boiler after reading some positive reviews. I also wanted an assessment of our heating and radiators, as the boiler was close to 20 years old. I'm glad I did. Not only was there a risk of the boiler emitting carbon monoxide but it had been poorly maintained and serviced in the past. I was expecting a new boiler before I even called someone out for the service and duly asked MPSL to quote me. They gave me some options and discussed prices. Costs were reasonable and clear, but the best thing of all was the speed of service. Clearly I wanted this job done as soon as possible and they delivered. I now have a brilliant new boiler and a new Nest smart thermostat to go alongside it. The staff and engineers were all first class and I have no hesitation in recommending this company. I shall certainly use them again. Had a drip in our kitchen ceiling. Roofer attended, did a thorough check and found problem which they sorted. When original boiler failed on the coldest snowy weekend, I had to move out. This company kept me informed all the time, explained when they were coming, told me not to worry. So helpful with their attitude, true professionalism and help. The engineer was very good the work was done efficiently and tidily. He was polite, considerate and helpful. A very good service from start to finish, clean, friendly. My boiler needed replacing. On inspection it was found to be dangerous. Other problems were found in the system due to a build up of deposits. The work and options were clearly explained, with reasons. The job was given priority. All work was done with no hitches and no mess. The cost was very reasonable and I would certainly give a recommendation. Very professional work. Value for money compared to all quotes which I received. All parts used were from reputed company. Replacing of old boiler, 2 port valves. Central heating pump. Installing 2 channel programmer and wireless thermostat all within half a day!! I actually can not-fault the service I have had. From first contact, to replacing my boiler to tidying up they have been first class. Very well managed and hassle free. Amazing service as before, quick. polite, friendly and such good value for money. Very pleased with the service, response and work done - polite service and efficient. No hesitation using MPSL again and would recommend. Great service, efficient and reasonable cost. Staff were on time, friendly and efficient. Highly recommended. Professional, knowledgeable & tidy. Definitely recommended. Brilliant job, nice people and professional. Very good service excellent. They were very helpful and nice staff. Excellent workers-very happy with work done. Excellent Work! Thank You very much! Gold star! First class service. Very professional. Workmanship very good. Let themselves down at the end by not cleaning up properly. (Boiler packing polystyrene beads everywhere and some cable ties). Very good, professional and efficient. Excellent job, very efficient from the guys. P.S. do I get a free service? Prompt, professional and friendly. Everything was explained in a clear and helpful way. While checking the new boiler installed, found a gas leak in our house. Will use again, highly recommended service. Engineers inspired confidence. Polite, punctual and willing to pass on technical information in layman's terms. 10/10. Perfectly fitted, fast & 3 reliable guys. 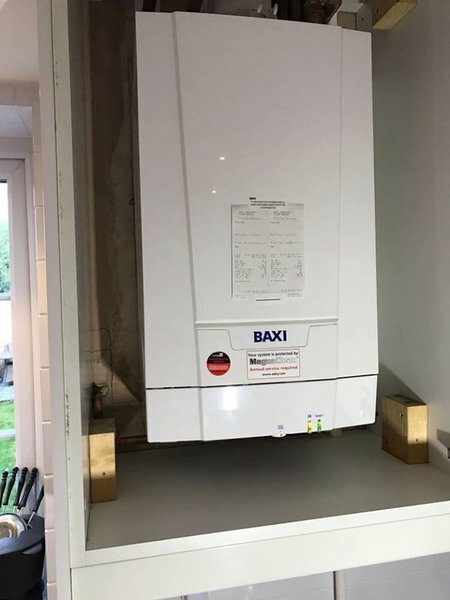 Mark & Steven fitted a platinum Bavi boiler. Great guys, no fuss! All round good service with excellent administrative communication and the installation explained as the work progressed in tidy manner and completed off neatly. Excellent job. Very professional wouldn't hesitate to recommend them. They left the kitchen clean and tidy after fitting the new boiler. Very helpful, polite and did a great job! We have been very happy with all areas of the job that's been done - from the engineers to the product! great! The team of workers were all very polite and helpful, answered all our questions and took time to explain. I would definitely recommend this company for their high standards and efficient service. Excellent service. Polite, efficient, tidy. Very happy with the final result. Everything looks outstanding. Mark and Steve were excellent from start to finish. I'm really pleased with the work. We had a problem with our boiler having just moved into a new house. MPSL identified the issue straight away, made it safe and returned after to put in a full new boiler. Could not fault the quality of work & friendliness of the staff. Would highly recommend. Very friendly staff, were prepared to listen to how the boiler to be installed in terms of appearance. Throughout the job explained every step. Completed the job in good time and cleared up after the job. I am so pleased. I didn't know they were a Trusted Trader but I can see why. They didn't try to rip me off. They picked me a nice, new boiler and fitted it promptly. The plumbers were very nice and friendly and took time to explain everything to me. 1. 30/4 11:00 problem identified. 2. 30/4 12:00am engineer arrived. 3. 30/4 13.00 diagnosis/assessment complete. 4. 2/5 am engineers arrived. 5. 2/5 1800 Job done! Minimum of disruption to household, tidy considerate and efficient. Arrived on time, exceptionally clean and explained everything to do with the work.